Bortek is a family company. We’re not some international, faceless corporation that sees our employees by numbers alone; everyone here is part of the Bortek Family. Yeah, yeah, it sounds cliché, but it really is the best way to describe it. At Bortek Industries, Inc., we sell the top brands of equipment in the world and service all brands of sweepers and scrubbers, including street sweepers. But we’re not just here to sell a machine. We’re here to meet needs, strive for improvement, and build relationships. Our Mechanics are some of the Best in the Business. Come and Join Our Growing Team! Are you seeking a new challenge in your mechanical career or simply looking to get off on the right foot? Make no mistake about it, we will put you in the best position to succeed, but it’s up to you to deliver! We are looking for an entry level mechanic to maintain and repair our fleet of cleaning equipment. You will be responsible, along with the rest of the service team, for ensuring functionality and reliability of the machines. 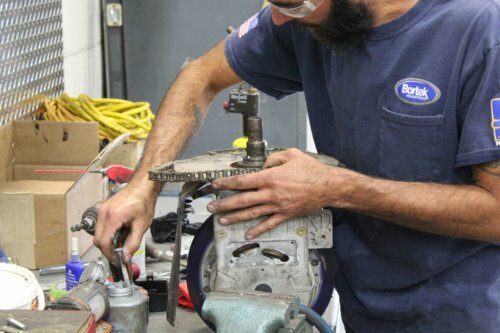 As a mechanic at Bortek, it is all about the quality of your work. Our priority has and always will be putting our customers first. The goal is to place reliable, quality machines in the hands of our customers every time. 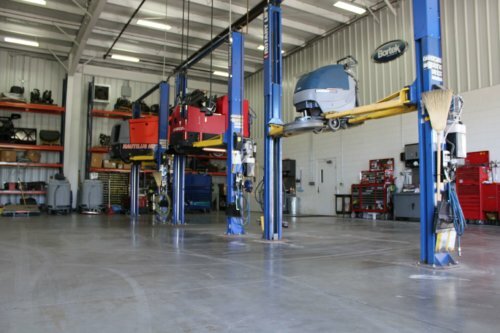 From repairs to preventative maintenance inspections, every machine should leave the shop in better condition then when it comes to our facility. You will be working alongside a team of experts, with years of experience in the industry, to give you the best opportunity to excel. Training will be provided from day 1.